Is policy fueling the fires? 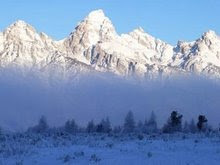 Grand Teton National Park Superintendent Mary Gibson Scott announced today that the National Park Service (NPS) recently completed the acquisition of a key inholding property located on the Moose-Wilson Road, approximately five miles south of park headquarters. This acquisition was made possible through funding provided under the Federal Land Transaction Facilitation Act (FLTFA) of 2000. The 1.4-acre tract was identified as a top priority for acquisition, in part because it lies within an area that provides important habitat for a diversity of wildlife species. Formerly known as the Hartgrave property, this land parcel originally consisted of approximately 4.4 acres. The property became available for purchase in 1995; however, the NPS was unable to acquire it at that time due to a lack of available federal funds. Gerald T. Halpin bought the property in order to protect it from potential development until the NPS could obtain funds for acquisition. In October of 2005, the NPS obtained Land and Water Conservation Funds to purchase approximately three acres of the Hartgrave property, leaving 1.4 acres in private ownership. FLTFA funds allowed the NPS to purchase the remaining privately-held acreage. FLTFA offers land management agencies in the Department of the Interior and the Department of Agriculture a “vehicle” by which private lands within areas administered by these agencies can be purchased from willing sellers. FLTFA funds are generated through the sale of public lands that are administered by the Bureau of Land Management and identified for disposal in land use plans. FLTFA provides a more efficient, streamlined process for land sales, and consequently benefits the nation’s public lands; it also helps to promote consolidation of ownership of public and private lands in a manner that allows for better overall resource management and protection. This federal authority for land transactions is scheduled to expire in July of 2010 unless extended by Congress.